Bring the blooms inside for our new Floral Embroidery Workshop and create your own gorgeous garden, no green thumb required! 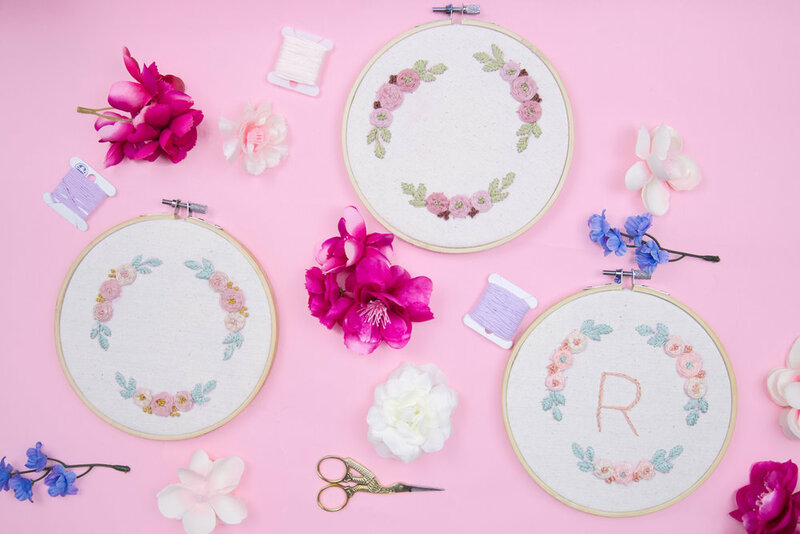 You’ll take home a beautiful floral embroidered wreath design to hang on your wall, and from fun totes to one-of-a-kind tees you be able to use your new, totally on-trend floral stitch skills and class template to create something that showcases your unique style! No previous stitch skills required, but a basic understanding of embroidery methods and stitches in encouraged. This makes a great companion class to our Embroidery Wall Art CraftJams! We’ve got everything you need, including a colorful selection of threads and supplies as well as a floral wreath pattern for your embroidery. BYOB – crafting is paired best with your favorite drink of choice! This event is hosted at Artists & Fleas Soho, a dynamic marketplace bringing together the best of independent art, design, fashion, vintage and more. What better atmosphere to craft and be creative than to be surrounded by artists, designers, and merchants?